Glenn “Bob” Ray Casteel, 84, of Paden City, WV died Sunday, September 30, 2018 at his home while surrounded by his family. Bob was born October 10, 1934 in Fairmont, WV; son of the late Lloyd G. and Jessie (Phillips) Casteel. 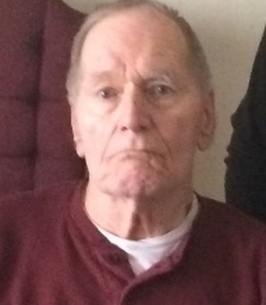 He was a retired electrician for the former Ormet – lower plant, had served two terms as councilman for Paden City and coached youth sports, past member of the New Martinsville Moose, Paden City Eagles Club, Paden City American Legion and Elks. Bob lived football and was a Methodist by faith. In addition to his parents, he was preceded in death by a son, Steven Casteel. Surviving are his wife of sixty-two years, Patty Casteel; two sons, Rick Casteel of Paden City, WV and Jeffery (Rose Mary) Casteel of Nevada; daughter, Keristin (Tom) Vasnus of Elizabeth City, NC; daughter-in-law, Sandy Casteel of Oviedo, FL; ten grandchildren and three great grandchildren. Friends received 2-4 and 6-8 p.m., Thursday, October 4, 2018 at the Jarvis-Williams Funeral Home in Paden City, where service will be held 11 a.m., Friday, October 5, 2018 with Ron Crowe officiating. Memorial contributions may be made, in Bob’s name, to the Paden City Flag Fund, 101 South Fourth Ave., Paden City, WV 26159. 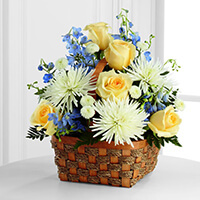 To send flowers to the family of Glenn "Bob" Ray Casteel, please visit our Heartfelt Sympathies Store. We encourage you to share any memorable photos or stories about Glenn "Bob". All tributes placed on and purchased through this memorial website will remain on in perpetuity for future generations. Our thoughts and prayers are with Keristen and family. From your family in Elizabeth City. Dear Rick and Family So sorry to hear of your Dad's passing. Dear Rick and family, prayers for u all. My deepest sympathy. Patty, so sorry to hear about Glen. We all had so many great times at the Elks Club and on the River. Sympathy to you and the family.